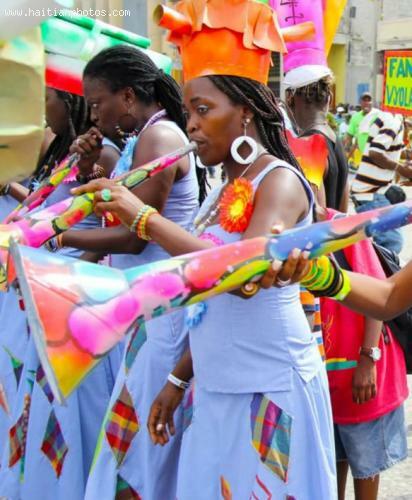 The Carnival of Flowers held in July 2012 was big success in Haiti and hence, the same will be repeated this year from July 28 through 30. The same leitmotiv "Yon Ayisyen, Yon pye bwa" will be there but with different décor. There will be flowers everywhere from Sylvio Cator Stadium to the Champ de Mars and will pass through Casernes street and Grand-rue. The Ministry of Culture is planning on this great event along with National Police, Secretariat of State for the Public Safety, Ministry of Tourism, the Primature and the Presidency. On 24th June, 2013, the acting Cultural Minister, Josette Darguste held a meeting with 10 fashion professionals and designers to work out the flawless beauty of the upcoming cultural event. The meeting reviewed several aspects of the event which included organization of ball of flowers, costumes for performing artists and queens and décor. Everything has already been properly arranged and everything is ready to go. To ensure that the show turns out to be a perfect one, Federation of disguised bands have been asked to impose strict rigidity on costumes and discipline for the performing members. Sponsors on the other hand will ensure that all T-shirts are distributed on time. The crowd will be properly contained and the procession route and the area where all artists will be performing will be properly secured to prevent any kind of accidents or mishap that is common in big events like that of the Carnival of Flowers.